Here at Interior Gardens, we specialize in displaying and nurturing the beauty that indoor plants can provide. It’s that time again, time to set the table and gather friends and family at holiday meals. Why not spruce up the table with not only home cooking but green plants that add to the environment and the festivities? Here are some suggested ways to add to your upcoming soiree. 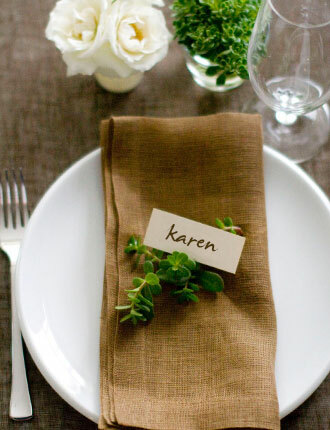 Place Card Accents: An easy and simple way to add to your table palate. 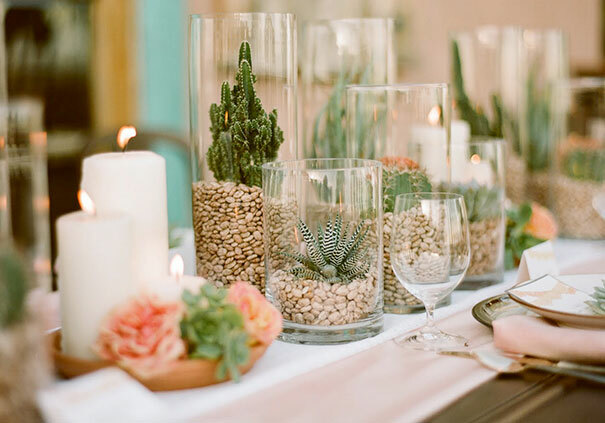 Pick up one or two small succulent plants and pick them apart to place on guests plates. This chic look is a very low-maintenance move that goes a long way and adds color to your table. Guest Take Home Gifts: Take it up a notch and send your guests home with more than leftovers. 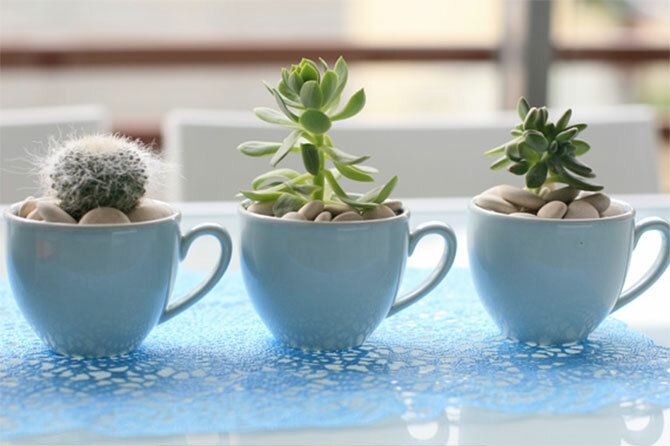 Spreading the love of plants, pile store-bought rocks in teacups and top them with small plants from Interior Gardens. *Tip: get to your local thrift store and pick out teacups that match the personality of each guest. Small stones can also be found at $1 stores. 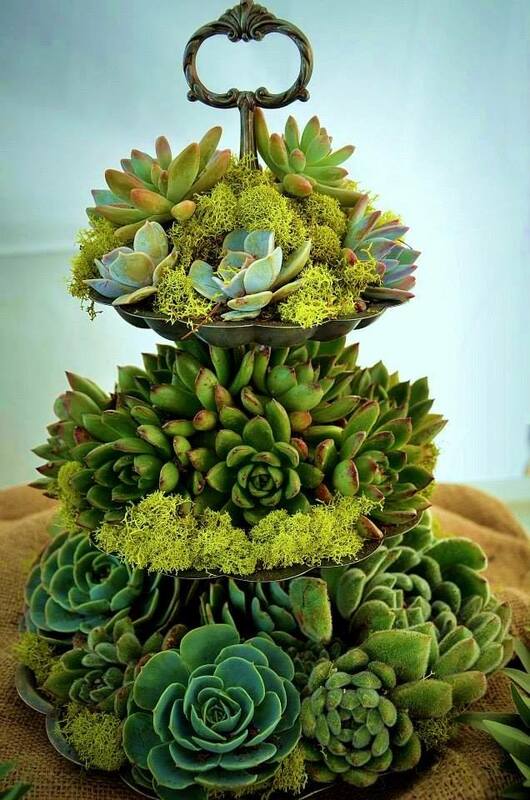 Cake Tier Centerpiece: Have your guests green with succulent-envy by putting this green and gorgeous tiered centerpiece in the middle of your table. The tiered cake tray is what gives this centerpiece its height. Add a bit of dirt in the nooks of each level and peat moss for a more grouped look. These 3 simple suggestions are among the many ways to introduce indoor plants into your dinner festivities. Get creative, get inspired and come visit our showroom to see more indoor plant varieties for your home.